Sport injury therapy is treatment aimed at getting athletes back to active participation in their sport of choice as quickly and effectively as possible. 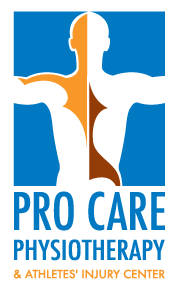 This branch of physiotherapy uses combinations of therapies to optimize outcomes and aid in rapid, full recovery. These can include acupuncture, massage therapy and recommended exercise programs following extensive injury assessment and treatment planning. When soft tissue is damaged, inflammation occurs along with swelling, pain, and loss of function. Sport injury treatments are intended to minimize inflammation and to help speed up the natural healing process. Sport therapy, in general, treats injury to joints, muscles, tendons, ligaments, and more. The most common sport injuries in Ottawa, its surrounding area, and indeed most everywhere include sprains and strains, knee injuries, Achilles tendon injuries, swollen muscles, fractures, and dislocations. Athletes of all ages and skill levels suffer injuries. Whether you happen to be a professional athlete or a weekend warrior high impact sports such as hockey, football, rugby, and Australian rules football can cause injury requiring sport injury treatment. Impact with other players, the ground and equipment can all cause injury requiring treatment. Sport injury does not discriminate based on age. From the youngest to the oldest participants, players are equally susceptible to acute and lingering injury requiring treatment by among others, skilled sports massage therapists and qualified, experienced Physiotherapists. Other important contributors to sport injury include such factors as how effectively athletes stretch prior to participation in an event, what kind of shape the participant may be in, and how physically demanding the event may be. Sport injury recovery begins from the moment trauma occurs. Once an injury has occurred, often manifesting such first symptoms as numbness and tingling experienced by an athlete (strong indicators something is wrong), immediate attention must be brought to the situation. Immediate assessment of the symptoms and effect of the injury on function is crucial to establish the most effective treatment method. Rapid diagnosis and appropriate treatment are essential elements of proper care ensuring a quick, efficient, and effective recovery. Therapies of choice may include treatment by, among many others, a sports massage therapist, an acupuncturist, or a qualified Physiotherapist in Ottawa as part of a professional care team. These may also be applied in any combination to enhance treatment and encourage an even more rapid recovery. While after-injury treatment promotes the most rapid recovery possible, prevention is the key to avoiding injury. This deterrent to sport injury eliminates the need for absence from participation and extended periods of sport injury recovery and physical rehabilitation. As numbers of participants, both amateur and professional, in sporting activity grows, it becomes increasingly important to provide coaches, trainers, and perhaps most important, the athlete with information on prevention programs and activities. Presenting the promise of greater capability and opportunity to compete, superior conditioning and health, and an increased chance for more success will more than likely have a positive influence. Among the options open to many athletes working to prevent injury is systematic preseason evaluation. This involves such things as joint mobility and stability testing, muscle strength and power testing, and breathing pattern evaluation. These tests are intended to spot issues early on. The benefits of doing so are many. Early diagnosis of potential problems allows treatment to avoid injuries such as muscle tears, cramping, and stress fractures. It also identifies existing conditions that may be causing difficulty physically and allows treatment to re-establish peak performance. Appropriate rehabilitation products can also be recommended and used to help promote participation through the early phases of recovery keeping the athlete a part of the team without risking further injury. Season analysis is another key to the prevention of serious player injury. This is essentially a review of training methods to ensure appropriate activity in such areas a participation in warm-up exercise. This is also a review of many additional factors such as past injury, travel, increase in activity and so on. These all help identify potential areas of increased risk to athletes that need to be changed to avoid injury. Sport injury, whether to a professional or an amateur, whether to someone younger or older, is an impediment to an active and vibrant lifestyle. Ottawa sports therapy can help identify appropriate preventive measures to avoid prolonged periods on the sidelines. Once an injury has happened, treatments are available locally to ensure a rapid and full return to your sport of choice.